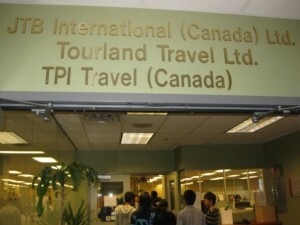 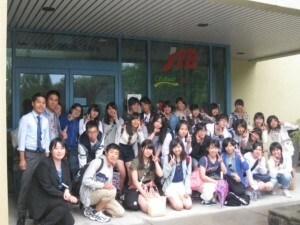 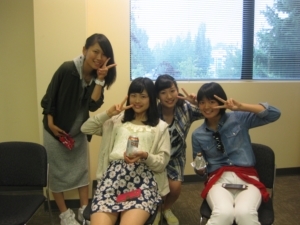 The students went to the JTB Vancouver Office and met Mr.Okamoto, who runs a real state company there. 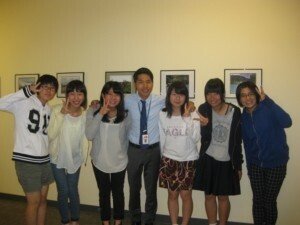 He gave them some advice about how to work in a different country and how to be successful in life. 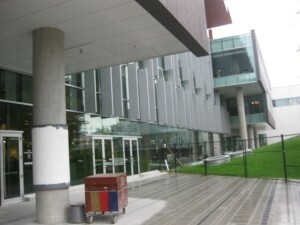 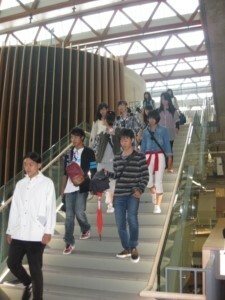 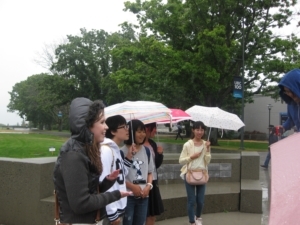 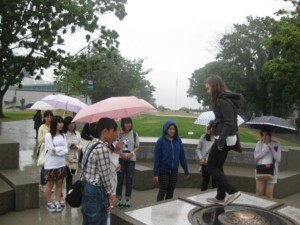 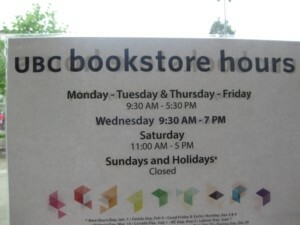 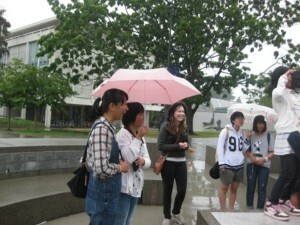 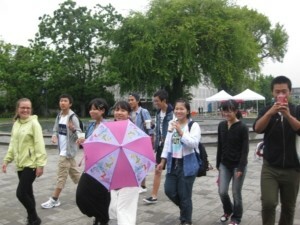 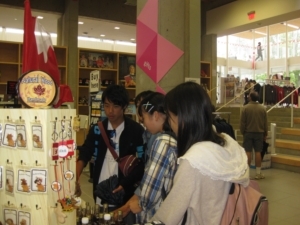 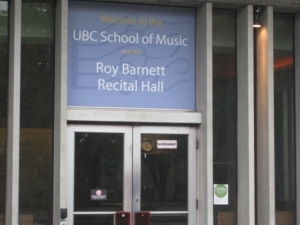 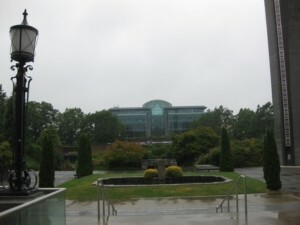 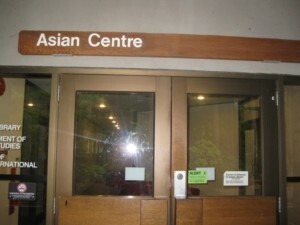 After visiting JTB, the students went to the University of British Columbia(UBC). 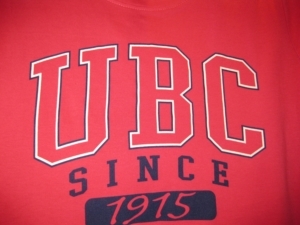 The university was established in 1915 and has a history of 100 years now, and has roughly 45,000 students from various countries. 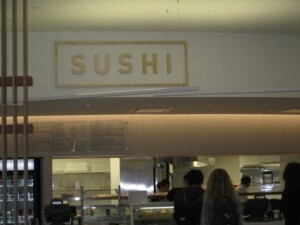 The students went to a sushi corner on campus. 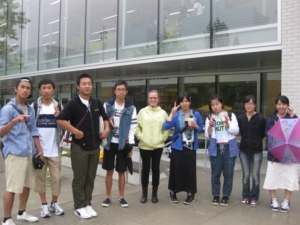 The UBC students guided Joto students around the campus, and they had a chance to visit the university library, the student union shop, a book shop, etc. 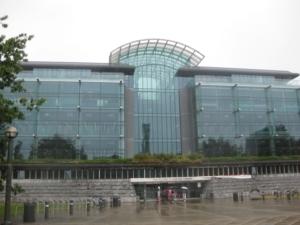 It rained while walking around the UBC campus. 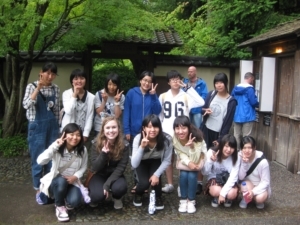 The students are posing for a picture in front of the Nitobe Memorial Garden in the UBC campus.